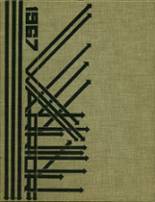 Listings of high school yearbooks for Pascack Valley High can be found below. You will find former students who are seeking yearbooks, those looking to sell a yearbook and general yearbook requests among the Pascack Valley yearbook listings. This yearbook section was created to help alumni post yearbook classifieds. You can also find out what other graduates are doing now, share memories with other alumn, upload pictures from Pascack Valley and find other alumni. The one yearbook I didn't buy! Does anyone have a 1984 yearbook? I would like to buy the 1984 PVHS yearbook if available. I have a yearbook from 1978 - clean. My yearbook from 1978 was destroyed over 25 years ago in a flood. Would love to know whom I can contact to get a copy. Here you go. Copy n paste below into your browser to see Senior Class photo's from the Yearbook - 1977 You will need to be a Facebook member to view. Originally made this album onto DVD for, I think it was the 25th Reunion. 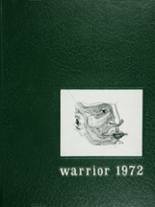 Would like to find a copy of the Class of 1975 yearbook or some scans of a few pages. lost mine in a move....would really love to reminisce. 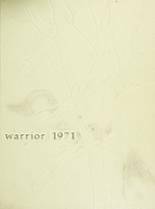 I'd like to buy the 1969 PVHS yearbook. 43 years ago we were all together different then we are now. Hopefully, we have learned a few things. My Mom had to sell the house I grew up in in Hillsdale NJ. That was about 1971. We were having a garage sale and someone went into the library and "BORROWED" my year book. My classmates wrote such lovely things about me and I never really knew just how much they "REALLY, "REALLY" liked me. Well I've heard of stranger things happening, I think whoever borrowed it has no use for it now. The book only has sentiment for me. I would love to have it back where it really belongs. I will hold no harsh feelings. I will even think more of you if you return it to me. Thank you for growing up.